Which texts does the robot use for image search? How do I get my image into first place? How do you choose which site will display under the image that was found? How can I tell which images from my site are included in the search? To scroll through the search results page, use your mouse wheel or PageUp, PageDown, or Spacebar on your keyboard. 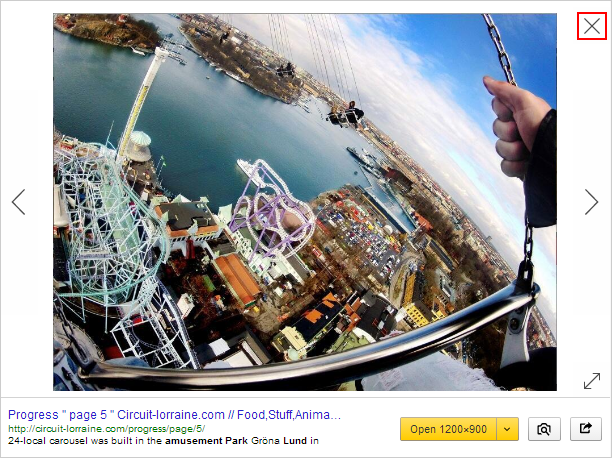 By clicking More images towards the bottom of the page, you can load the next group of images. 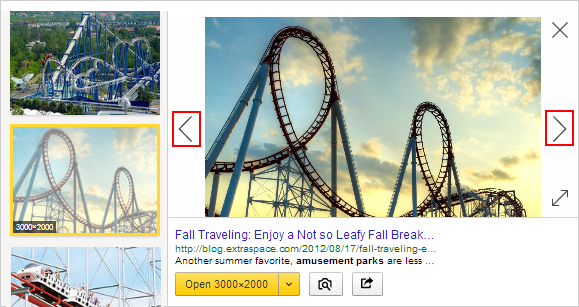 To view successive images, use either the arrow keys or the A,W,S, and D keys on your keyboard. Note. You can also click and , to view the images in order. 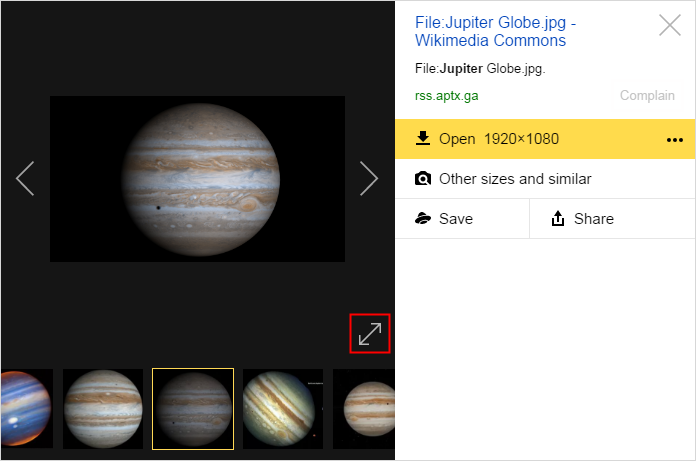 Move your cursor over the image to view basic information (size, description, and address of source). To expand an image, click the thumbnail view. To return to standard viewing, click . How do I view a picture in full-screen mode? 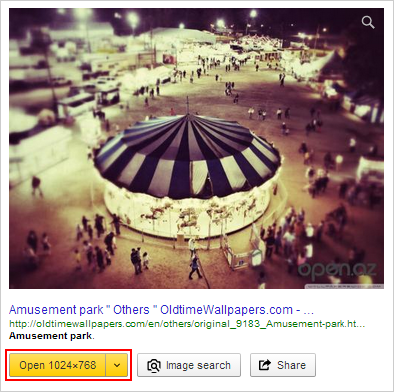 Expand a thumbnail image by clicking on it. To exit full-screen mode, click in the upper-right corner, or press Esc. You can also view images as a slideshow. Just click Slideshow while in full-screen mode. To stop the show, just click Slideshow again. Most images on the internet have copies (duplicates). Copies can be exactly the same or differ in some small way (for example, some might be framed or in a different size). 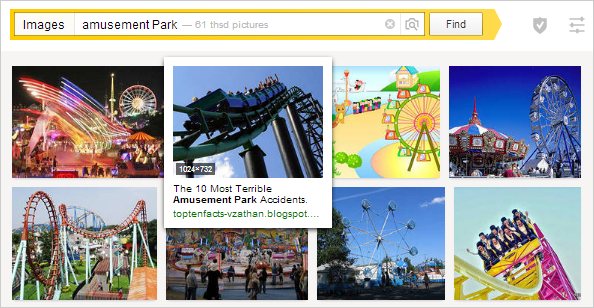 To ensure that search results are as diverse as possible, Yandex doesn't display multiple copies of images on the search results page. 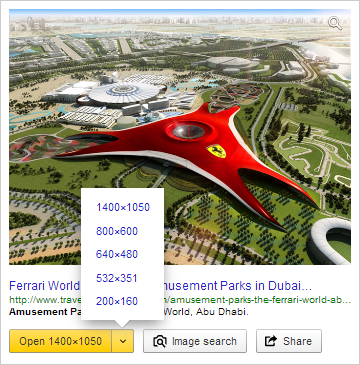 Links to different sizes of the same image can be found in the drop-down list to the right of the image. To view a copy of an image you found, click the link to the appropriate size (the largest size (in pixels), is always at the top of the list). The image will open in a separate window. If you need help finding a copy of a specific image, read the Image search section. To open images in a new page click Open. Why isn't an image loading? An image may not load if it isn't available via a direct link, or if access has been restricted on the site where it is posted. In these situations, we recommend that you view the image on its source page.